One reason why air rifles are so popular is because of how versatile they are. Air rifles can be used for target shooting, plinking, and even hunting. In some cases, one air rifle can be used for everything, but most air rifle enthusiasts soon find out that some air rifles are better suited for hunting than others are. So, with that being said no matter what you are hunting buying the best air rifle for hunting is going to make quite a difference. So, how do you know what the best air rifle for hunting is? When you are looking at the different air rifles available for hunting there are a few things that you, as a hunter, need to keep in mind. Accuracy and power are two of the most important things you need to be concerned about when picking out the best hunting air rifle in 2016. After all, if your rifle is not accurate you have no hopes of ever hitting your target. If your air rifle isn’t powerful enough even if you hit your target, you are not going to be able to kill it. Not killing your target brings other things into play, such as scaring off your original target, as well as any nearby small game. But, you also get into the area of humane kills, if you hit your target but don’t kill it; it’s going to suffer unnecessarily. By having a powerful and accurate air rifle, you are going to up the odds of hitting and killing any small game on your first shot. Something else to think about in terms of power is what you are hunting, birds don’t need as much power as squirrels, and squirrels don’t require as powerful of an air rifle as coyotes. Now that you know what to look for when choosing the best air rifle for hunting, let’s take a closer look at some of our top picks. One of the best things about this gun is that from the moment you take it out of the package you know it means serious business. This air rifle looks nothing like a toy and even better, it doesn’t feel like a toy, the air rifle definitely has some solid weight behind it. Many hunters use scopes, which the Gamo Big Cat .22 Caliber comes with one included. Bear in mind that it is not the best scope out there, but it does get the job done once it has been sighted in. In order to properly zero it in you are going to need to fire at least 100 shots. Mounting the scope is pretty easy and most users have no problems doing it with the tools provided. One issue with several .22 caliber air rifles is the sound that comes with each shot; luckily, the Gamo Big Cat is relatively quiet. Many hunters are pleasantly surprised at the relatively quietness of the air rifle with how much power is behind it. It has more than enough power to cleanly kill a squirrel or rabbit from over 20 yards out. This air rifle is a decent one for those who are just getting interested in hunting; it is not the ideal choice for longer hunting trips. 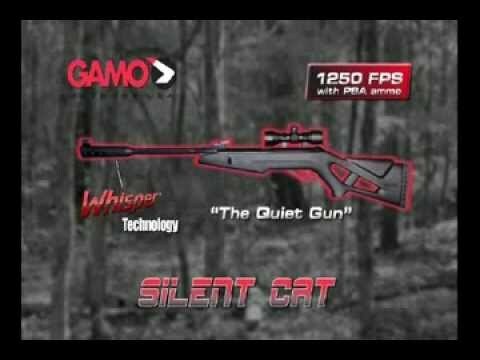 The Gamo Silent Cat is one of the most popular air rifles for hunters. One thing that draws hunters to this air rifle, aside from the fact that it gets the job done, is its one of the higher-powered rifles offered by Gamo. Another bonus is the noise damper that comes mounted on the barrel of the rifle. According to numerous hunters who use this air rifle it is really works, it cuts the noise of the rifle in half. And, the less noise it makes the better, as you won’t be alerting all the game around to your presence. If this isn’t enough to impress you, maybe the Gamo Silent Cat’s accuracy will. The 4×32 scope is a decent enough scope, but if you plan to use it regularly for long-range hunting, you should invest in a different scope. The fiber optic sights also aid in the accuracy if the air rifle. To ensure accuracy do not use lightweight ammo, the heavier the ammo the better the results. Not only is the Gamo Silent Cat accurate, it also has enough power to cleanly kill just about, whatever small game you are hunting. 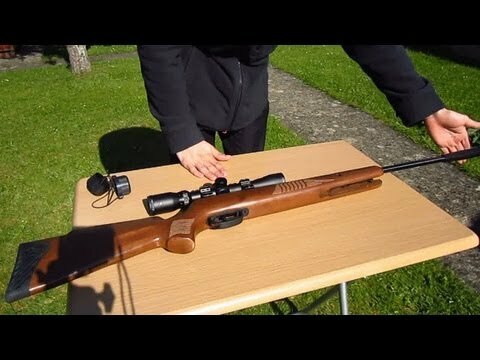 This .22 caliber air rifle is what is referred to as a PCP, which for those of you who are new to air rifles, means a pre-charged pneumatic air rifle. What this means for hunters is you are going to need to either come up with an extra air source for when the charge runs out, which scuba tanks make a great source of air. Or, you are going to need to do some serious pumping by hand, which can grow quite strenuous. However, the air rifle definitely has enough power to take out most small game cleanly and from a decent distance, all without losing accuracy. Part of the reason why the rifle is so accurate is the manual that comes included from the manufacturer. Inside the manual, the manufacturer gives air rifle owners a variety of tips they can follow to fine tune the air rifle. For example, the manual contains information on how to loosen a too tight trigger, as well as how to adjust a scope. The problem with the air rifle being PCP powered is that after 20 good, clean shorts you are out of air, so you will have to refill it frequently if out hunting for a period of time. 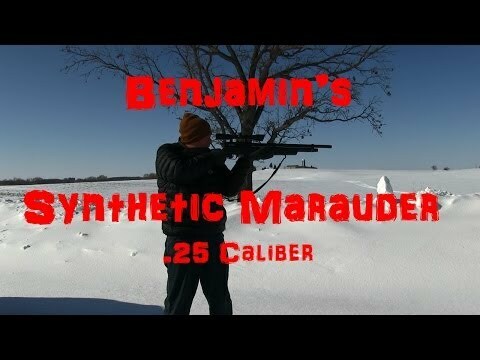 The Benjamin Marauder doesn’t come with a scope, but an aftermarket one can be purchased and mounted quite easily. No need to worry about scaring off game, as the air rifle comes with a four chamber silencer, so it’s relatively quiet. And, the absence of recoil after each shot is something most hunters enjoy. Perhaps the first thing that you will notice with the Crosman Nitro Venom .22-caliber air rifle is how the air rifle looks and feels. As you take it out the box, we think you will be quite pleased with how solid the air rifle feels even though it doesn’t feel that heavy. The next thing you will notice is how much lubrication Crosman used on this are rifle. To ensure nothing bad happens make sure you thoroughly clean the air rifle before using it. In order to fully take advantage of this air rifle for hunting purposes you are going to want to invest in a better scope. Te one that comes with it is mediocre at best, but if you make a few adjustments, it should do in a pinch. No matter what scope you decide to go with you will need to fire around 200 shots to fully break in the Crosman. Not only does the Crosman Nitro have enough power to cleanly take out small game from various distances, it is also accurate. Some air rifle enthusiasts report 1-inch groupings from 30 yards out. To get the best results with this air rifle you will want to stick with name brand pellets, namely the Crosman brand. Even better is the fact that the air rifle doesn’t lose its accuracy over time, even after repeatedly firing pellets. If you are only interested in hunting birds the .177 caliber Crosman Nitro Venom is an excellent choice, as it lives up to the Crosman name and produces outstanding results. Now that you have had a chance to look over what we feel are the best hunting air rifles for 2016 we want to give you something else to think about. When picking the right air rifle for hunting you want to consider how easy the air rifle is to use. Some air rifles are quite hefty, so lugging them around for hours is not always the best choice. If you plan to do a lot of walking while hunting, you will want something that is a little lighter. 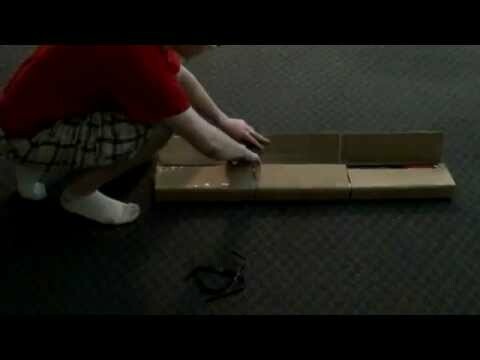 How the gun is powered also determines how easy it is to use. PCP powered air rifles are not ideal for hunting because you are limited on how many shots you can take before your tank runs out. Being that hunting is a time consuming sport you might be better off with a spring powered air rifle or even a CO2 powered air rifle. Break barrel air rifles are also a great choice, as they are easy to use, and can be quite powerful, if you choose the right one.